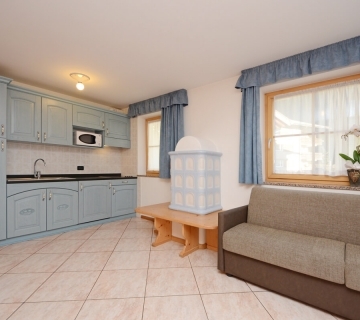 Residence Saslench - Your apartment holiday in Val di Fassa! 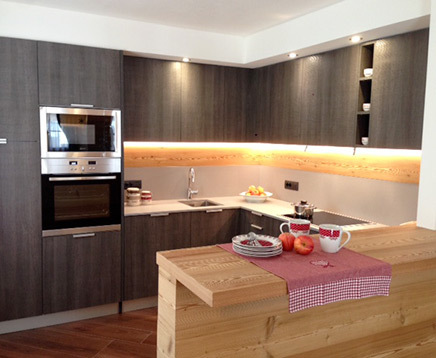 Your apartment holiday in Campitello in the Fassa Valley! Residence Saslench is located in the centre of the town of Campitello, in the beautiful Val di Fassa in Trentino Alto Adige. 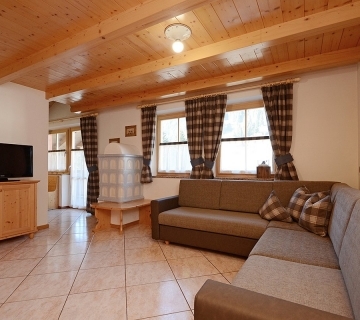 It offers prestigious apartments for your holidays in the Dolomites in both summer and winter. Our apartments can accommodate from 2 to 8 people and are equipped with all the comforts to make your holiday in Campitello convenient: washing machine, satellite TV, safe, Wi-Fi, ski storage with ski boot dryer and all the apartments have a dishwasher. Guests also have access to a large and convenient indoor garage. Your holiday in the Fassa Valley may be an excellent opportunity to visit Campitello and all of the Val di Fassa towns at the foot of the Dolomites, World Heritage Site. It is an excellent starting point for summer and winter hiking and connected to the famous Sellaronda. Campitello will captivate you with its landscapes considered the most appealing in all of the Val di Fassa. Located at the foot of the Sassolungo and Col Rodella, it is the most versatile town for families with children as well as sport and outdoor lovers. The bike path connects Campitello with Canazei on one side and with Pozza di Fassa on the other. It is also accessible on foot and with strollers. Other attractions in Campitello are indoor climbing, soccer and basketball fields, mini golf as well as adventure parks for adults and children. We invite you to discover all of this and much more by taking advantage of our hospitality. Don’t delay, book your holiday now in one of our Residence Saslench apartments! Ready to meet your every need! It is located on the first floor, has modern and linear furnishings but with great attention to detail and gives a strong feeling of warmth and mountain. It is equipped with all the comforts and is the perfect apartment to stay in for an unforgettable holiday on our beautiful Dolomites.